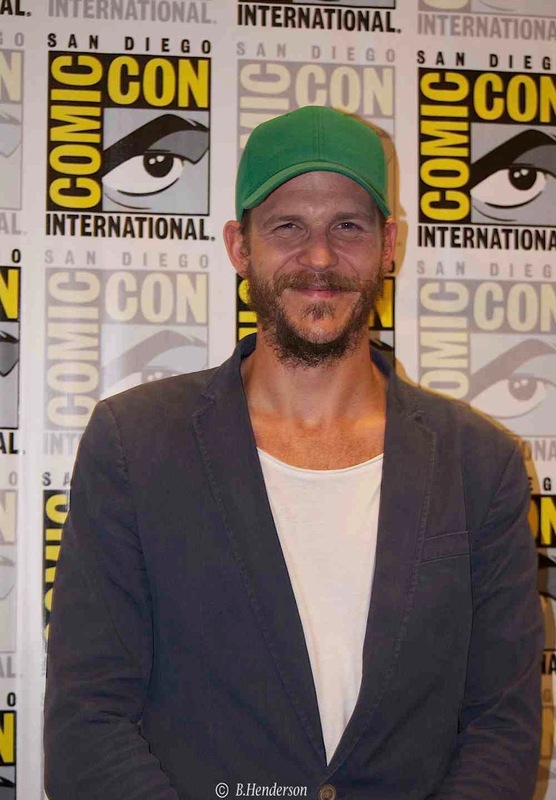 Katheryn Winnick (“Lagertha”), Gustaf Skarsgard (“Floki”), Alexander Ludwig (“Bjorn”), Alex Høgh Andersen (“Ivar the Boneless”) and Michael Hirst (creator/writer) will reveal an exclusive sneak peek of season five. Don’t miss out – come join them and find out what the gods have in store! Cast subject to change. A one-day event to honor Ragnar Lothbrok and other beloved characters who have recently risen toValhalla. The Vikings funeral will begin with a procession throughout the Gaslamp Quarter in the early afternoon from noon – 5:45 p.m. The funeral will conclude with a waterfront ceremony beginning at 7 p.m. featuring a floating 45-foot replica Viking long-ship with pyrotechnic display. Cast will be in attendance. Ceremony will be held behind the Convention Center at Embarcadero Marina Park South (200 Marina Park Way). The popular “Vikings” drinking horn program returns, giving thousands of horn-shaped beer vessels to eager and thirsty fans. Select bars will offer special drink discounts for horn holders. Please follow @HistoryVikings for a complete list of participating locations. The horns will be made available to fans who attend the Vikings funeral event on Friday, July 21 at 7 p.m.
A new generation of warriors is rising in the Vikings world and fans have the opportunity to be immersed in it by showing off their swordplay in a video booth. Fans will get into character by selecting their weapon of choice and garbing themselves in Viking gear. A time-slice camera array will capture footage of each fan demonstrating their best battle moves with Ragnar’s sons – Bjorn, Ivar the Boneless, Ubbe and Hvitserk. Video will be available to share on social platforms. Also available to fans while supplies last is a custom “Vikings” limited edition comic book from a story created by Michael Hirst, exclusively for SDCC. HISTORY is setting the stage for SDCC attendees to discover its newest drama series “Knightfall” before it premieres by offering an essential service that is new to the convention – “Knightfall: Guardians of the Gear.” The Holy Grail required protection of the Knights Templar, and SDCC attendees can count on that same protection for their own personal belongings by storing them in HISTORY’s “Knightfall: Guardians of the Gear.” Located along the MLK Promenade in the Gaslamp Quarter, our knights will guard attendees swag while they explore the rest of Comic-Con. Additionally at the activation location, attendees will get to take a photo with the Knights Templar, watch a sneak peek of HISTORY’s newest drama series “Knightfall” and preview the Knightfall: Rivals video game on Steam Platform(TM), coming soon on mobile. Attendees will also be able to pick up a comic book from Titan Comics inspired by “Knightfall” entitled “Truth & Lies,” a prequel to the events in the forthcoming series that follows the Knights during the siege of the Acre in 1291 as they try to protect the most important relic in all of Christendom – the Holy Grail. From creator and sole writer Michael Hirst (Academy Award(R) winning film Elizabeth and the Emmy(R) and Golden Globe(R) nominated series “The Tudors”), “Vikings” is a family saga that tells the remarkable tales of the lives and epic adventures of the raiders and explorers of the Dark Ages. The last season of HISTORY’s longest-running drama series, “Vikings,” averaged 4.1 million total viewers, finishing as the #1 original series on cable on Wednesday nights (Live+7). Jonathan Rhys Meyers joins the stellar cast for season five along with Katheryn Winnick, Gustaf Skarsgard, Alexander Ludwig and Alex Høgh Andersen. Season five is slated to air later this year on HISTORY. “Vikings” is an international Irish/Canadian co-production by World 2000 and Take 5 Productions. MGM Television serves as the worldwide distributor outside of Ireland and Canada. “Vikings” is produced in association with Corus Entertainment. “Knightfall” follows the Knights Templar, the most powerful, wealthy and mysterious military order of the Middle Ages, entrusted with protecting Christianity’s most prized relic – the Holy Grail – and harboring secrets capable of destroying the Church itself. “Knightfall” goes deep into the inner sanctum of the clandestine world of this legendary brotherhood of warrior monks. From their battles in the Holy Land, to their clash with the King of France, to the betrayal that would ultimately lead to their tragic dissolution on Friday the 13th – a date which became synonymous with bad luck – the story of the Knights Templar has never been fully told until now. “Knightfall” takes viewers inside the world to find out who these knights were, how they lived, and what they died believing. “Knightfall” is an A+E Studios production in association with The Combine and Midnight Radio. Don Handfield and Richard Rayner serve as creators and executive producers, with Oscar(R) and Golden Globe(R) nominee Jeremy Renner also serving as executive producer. Dominic Minghella is executive producer and showrunner. Executive producers from Midnight Radio are Jeff Pinkner, Andre Nemec, Josh Appelbaum and Scott Rosenberg. Barry Jossen and Douglas Mackinnon serve as executive producers. The drama stars Tom Cullen (“Downton Abbey”), P�draic Delaney (The Wind That Shakes the Barley, “The Tudors”), Simon Merrells (“Spartacus,” “Dominion”), Olivia Ross (War and Peace), Ed Stoppard (“The Crown”), Sabrina Bartlett (“DaVinci’s Demons”), Jim Carter (“Downton Abbey”) and Julian Ovenden (“Downton Abbey”). This entry was posted in News and tagged Alexander Ludwig, Comic Con, comic con 2017, Gustaf Skarsgard, Katheryn Winnick by beadrbop. Bookmark the permalink.